ProMax has per-recorded classes for all users at your dealership. 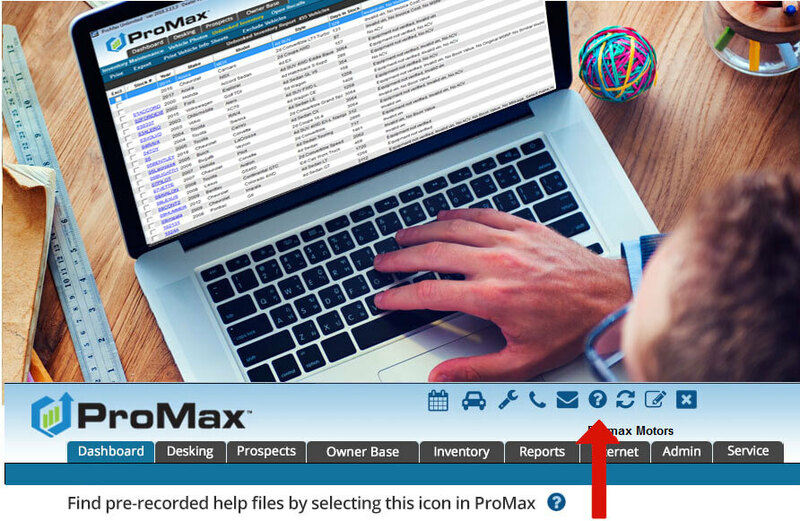 You can access the recordings any time by logging into your ProMax system and clicking on the question mark icon at the top of the screen. To help your personnel learn their ProMax system better, these classes are organized by Dealership Personnel Position or by ProMax Menu Categories.